BD Diesel Clutch Kit - Dezod Motorsports Inc - Home of the automotive performance enthusiast since 2002. Featuring feramic or organic linings, marcelled fins, modified pressure plate for higher plate load and smoothness of engagement and updated throw out bearings. Designed to stand up to performance, heavy towing and every day driving. 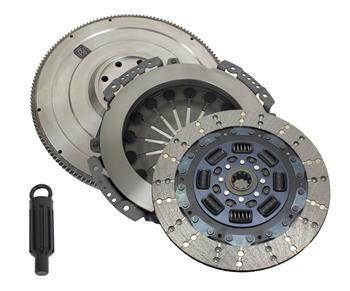 In choosing the right clutch it is very important to choose the clutch to match the appropriate horse power and work load.